If you have any equipment with diesel engines you may want to learn how to make biodiesel. This may be a helpful skill to have in the event of an emergency where you need to get fuel with few resources. You can use biodiesel fuel to power trucks, farm tractors and back up generators among other things. Learning how to make biodiesel requires very little equipment to start out. You can buy expensive and complex equipment if you want to refine the process, but it’s not necessary. The first thing you need to find is a source of vegetable oil. Many people get discarded vegetable oil from restaurants, but you may not have any available in an emergency so it might be best to stockpile some oil. Once you’ve found your source of vegetable oil, you will need to get racing fuel (methanol), lye (sodium hydroxide), and water. Since these items may be difficult to find in an emergency situation, it is best to have a supply on hand just in case. You can buy small amounts of methanol at race tracks or high-end engine shops. However, if you want larger amounts that you can use for a while in the event of an emergency, you may need to go directly to a petroleum distributer. You won’t need much lye per batch of biodiesel, so you can probably get a few sealed cans from the grocery store. Making sure the can is sealed helps keep the moisture out, which improves the lye’s effectiveness. You will need a large tank that holds about 60 gallons and a small tank that holds about 15 gallons. If you got your vegetable oil from a restaurant, you need to strain any excess food particles out of the oil. Once that’s finished, you will put the vegetable oil in the large tank and the mixture of lye and methanol in the small tank. 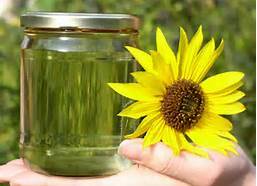 For every eight gallons of lye and methanol, you will need roughly 40 gallons of vegetable oil. If you’re not careful, learning how to make biodiesel can be very dangerous. It is important that you use caution, as some of these chemicals are highly reactive when combined. First of all, keep in mind that methanol is highly flammable but lacks a visible flame. This is dangerous because it is possible to burn yourself simply by spilling the liquid. If the combination of methanol and lye touches your skin, you will get severe burns. This will also kill all nerve endings, which means that you won’t even realize you are getting burned. Lye may also be dangerous in some situations, as it gets very hot when combined with water. It is also corrosive to some metals so most people choose to use stainless steel, glass, or polyethylene containers when working with lye. When you mix lye and methanol, you get sodium methoxide. The vapors from the combination are not good for your lungs and you shouldn’t breathe them in. You need to make sure your work area is extremely well ventilated to avoid being in close proximity with those vapors. You should also have a fire extinguisher close to your work area at all times as well as plenty of fresh water. If you’re just learning how to make biodiesel, you may want to look at getting a biodiesel kit. These kits contain the items you need to make biodiesel as well as instructions. Learning how to make biodiesel is an excellent way to prepare for an apocalyptic event or other emergency. You can get a kit or assemble the ingredients yourself. No matter what you decide, you need to be very careful, as these are complex chemical reactions that can cause harm if not done correctly. However, if done correctly, you can get fuel for generators, trucks, tractors or any other motor that uses biodiesel.